The cathedral is an amazing building. It feels as if Dali has been let loose with a modelling kit. I’d love to see it completed! A truly fascinating building to behold….there is architectural beauty to be found within such gaudy eccentricity. Barcelona is a destination I have always wanted to visit: I’m told there is so much to see and enjoy. 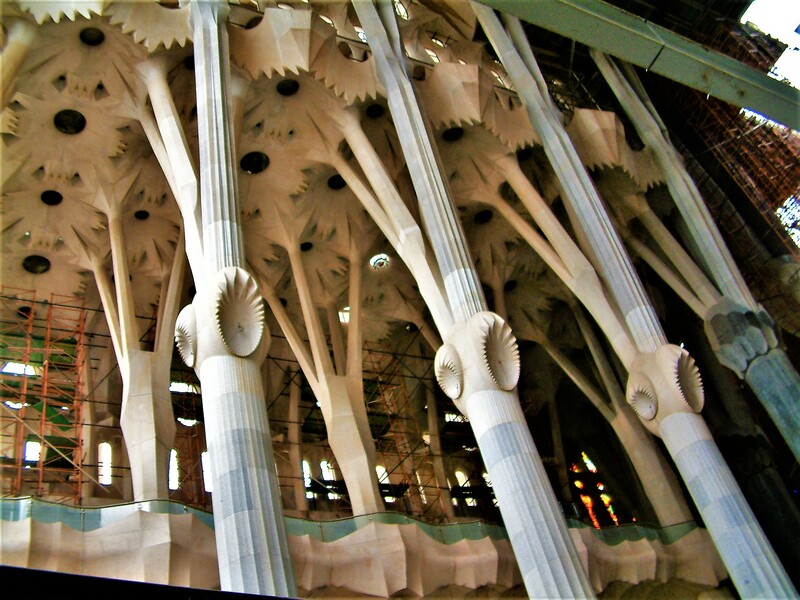 The Gaudi is absolutely stunning Dewin. Well worth a visit. We didn’t do justice to it. We’ve been twice – must go back again. Everyone I speak to about Barcelona says much the same thing Opher, and most if not all look to return there again in the future. Like you they say one visit isn’t enough. I’m sure you wouldn’t be sorry Dewin. We loved it. Gaudi was an amazing guy. His architecture is the highlight – the houses are amazing, the park is great and the cathedral is superb! I know only a little of his work and that only glimpsed in passing so to be physically confronted by it will be quite something. From the photographs I don’t really get much idea of the scale. How does it compare in size to say York Minster Cathedral? You wouldn’t regret it. The cathedral is more impressive than York – a sort of surrealist wonder. Very strange. 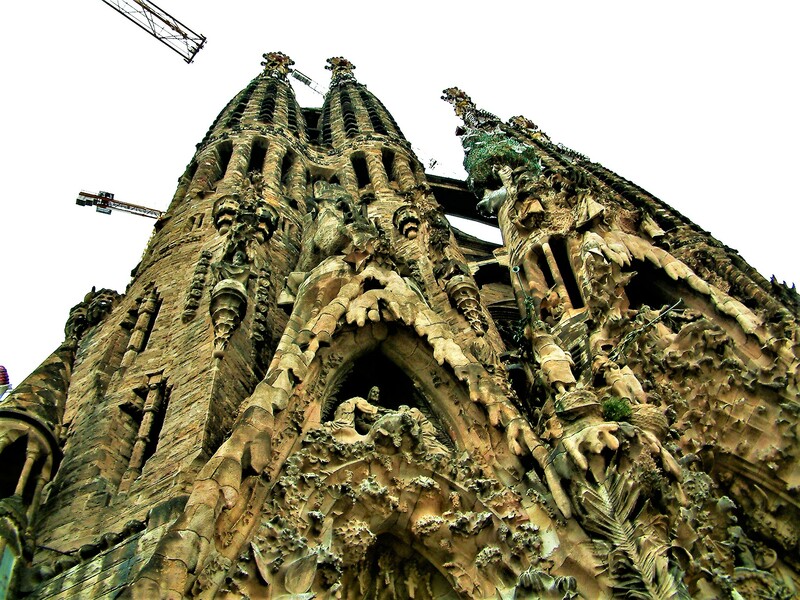 Gaudi was an eccentric. He looked a wreck. He was killed at the Sagrada. He supposedly stepped back into the road to view the work and was hit by a tram. He was in the morgue and nobody knew who he was. They thought he was a tramp. It took 3 days for them to identify hi. They wondered what had happened to him on site. He designed everything in his houses – not just the house but all the fittings. They are all amazing. The inside is extraordinary. Then I hope one day to see it for myself! York Minster is huge, beautifully built with immense love and care. 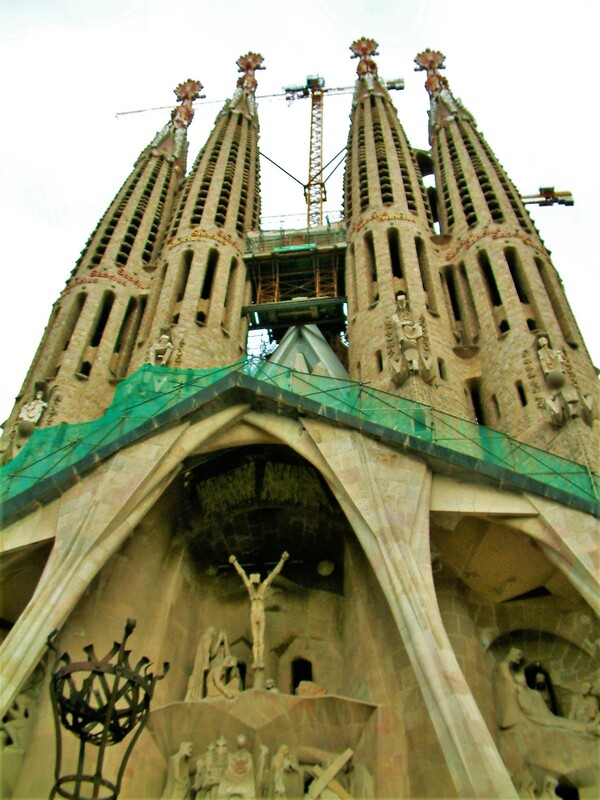 La Sagrada Familia – the Holy Family? – will undoubtedly be such a contrast! I like the sound of Gaudi: a little crazy, eccentric, perhaps a bit odd, but certainly a colourful genius realising his dreams in brick, glass, ceramics, metal and stone: the very epitome of an artistic maven! 🙂 I imagine he adored what he did, was driven to do it, and excelled in his delivery! I think you summed him up Dewin. 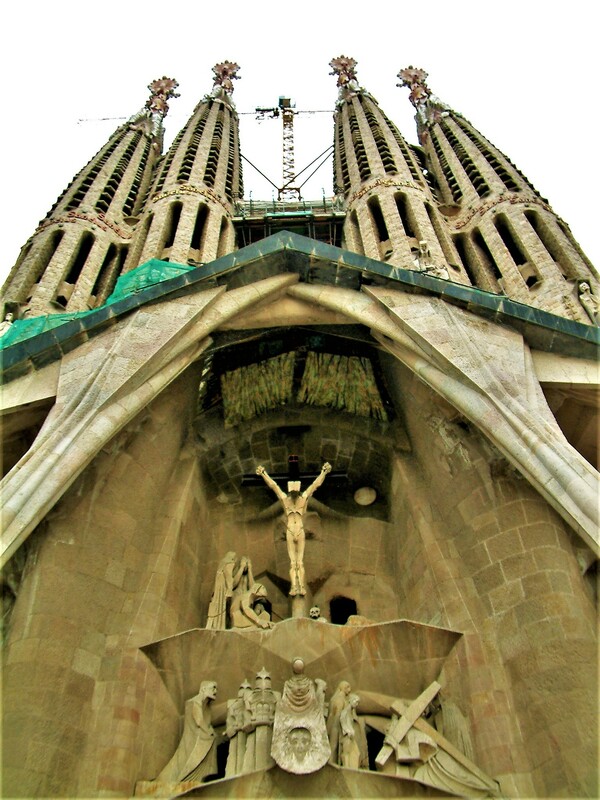 Everybody should see his work and probably La Sagrada was his masterpiece. I don’t know when it’s due to be completed. 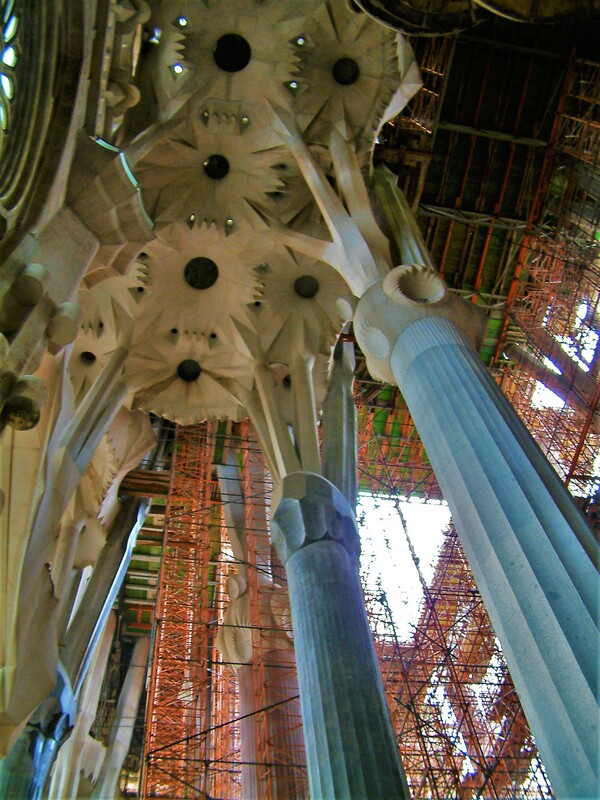 Looks like 2026 for completion – the centenary of Gaudi’s death! 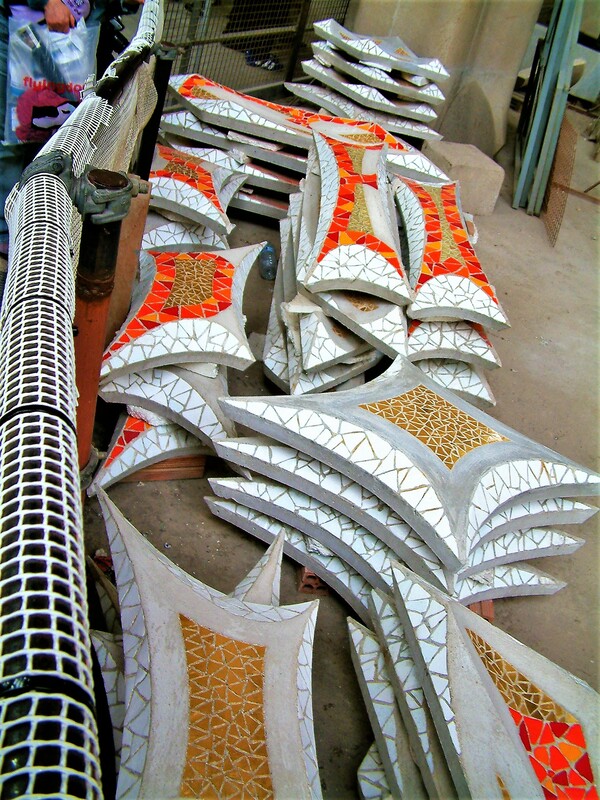 Then the builders have a worthwhile deadline to work towards – I hope they achieve it! 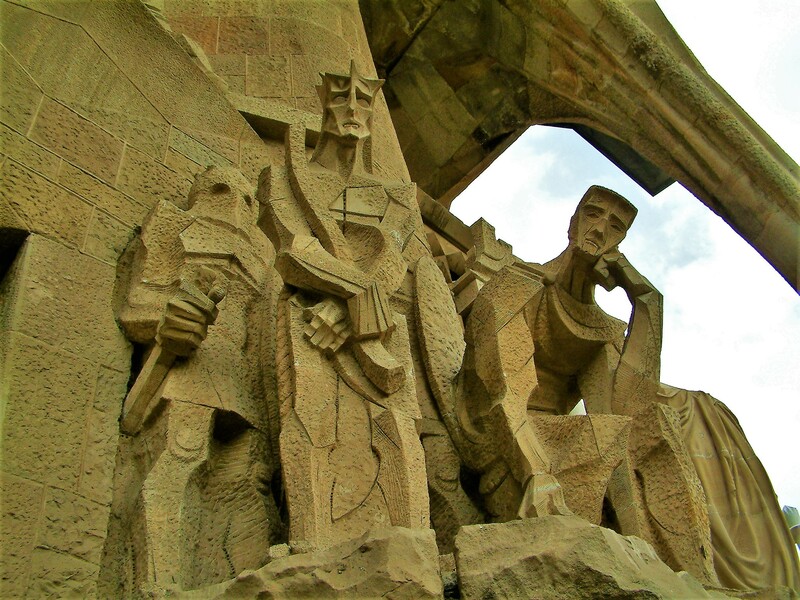 I wonder if Gaudi left plans and/or his vision made known somehow so that modern architects can complete it as he envisioned> 2026 isn’t that far off really is it? It will be a pleasure to visit if and when I get to go. It will have taken over a hundred and forty years – but it is extremely complex and different. Not an easy build! I’d really like to see it finished. The scaffolding was a pain. Well worth a visit Pooj. It fills you with awe. film starring Jack Nicholson and Maria Schneider, directed by Antonioni, called The Passenger. Hasn’t had much circulation apparently, shame because it’s a near masterpiece. I don’t think I’ve seen that film Dave. I’ll look out for it. It’s due for completion in 2026 I believe.